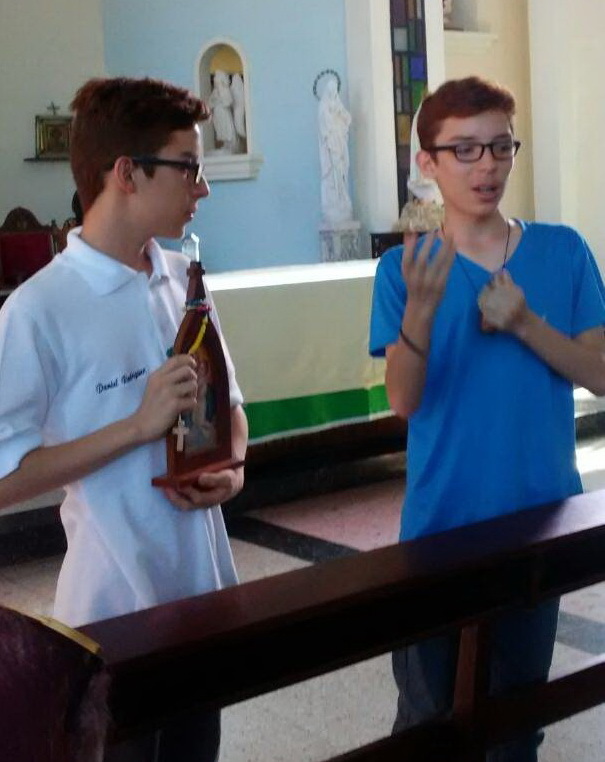 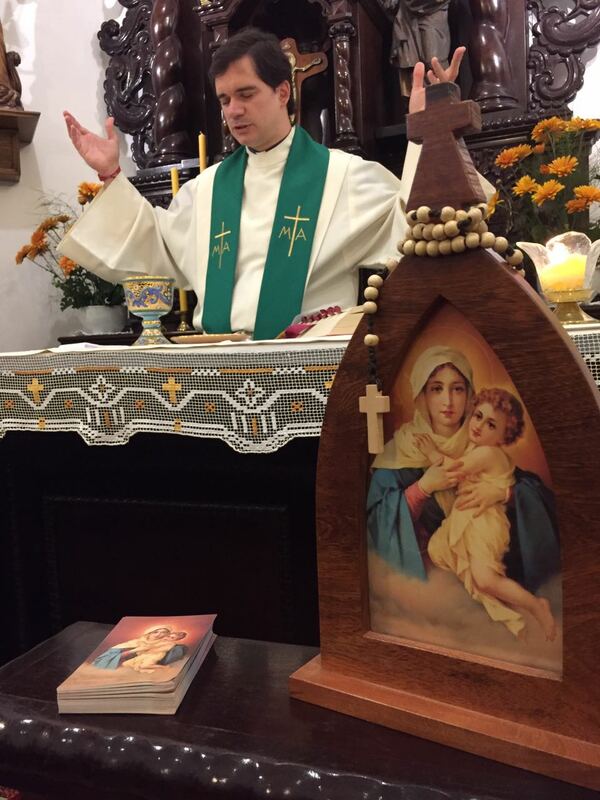 “Arrived” – a single word sent on WhatsApp on 23 October 2017, but it was a story of love, trust, and giving of self: on October 23, a picture of the Schoenstatt Pilgrim Mother arrived in Barquisimeto, Venezuela that a young missionary, Daniel Ramirez, age 16 eagerly awaited. 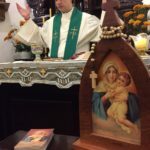 “Founding Pilgrim Mothers” is a project of schoenstatt.org that has the collaboration of a circle of missionaries from Argentina and whose goal is to place pictures of the Schoenstatt Pilgrim Mother at the disposal of people who want to be missionaries, but are in countries or places where the organized Schoenstatt Movement or the Schoenstatt Rosary Campaign does not exist. 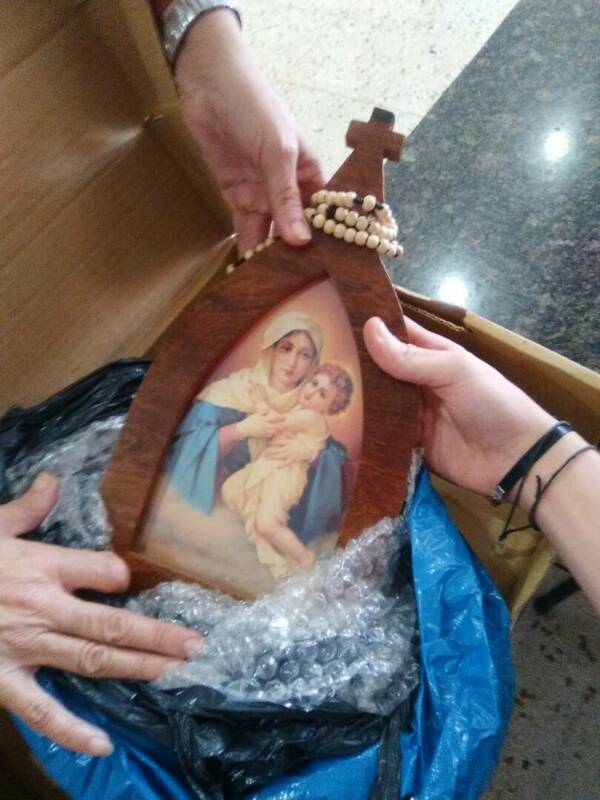 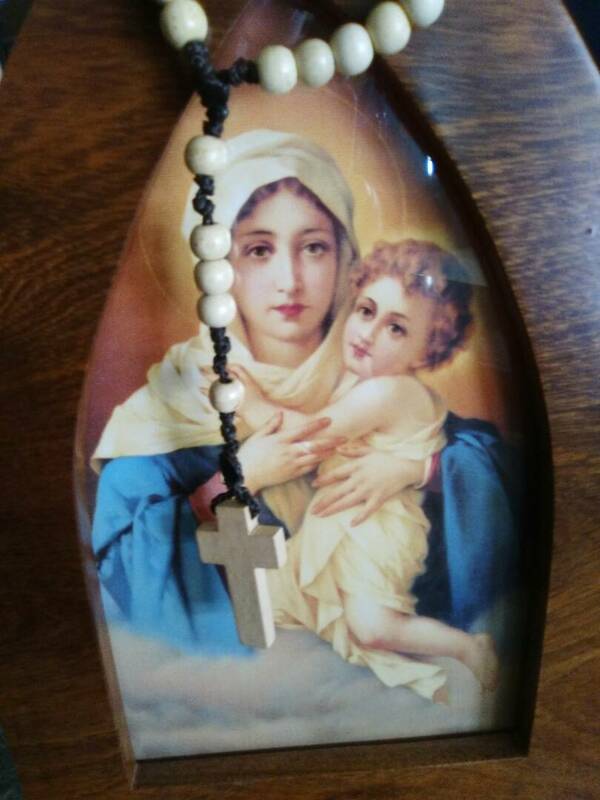 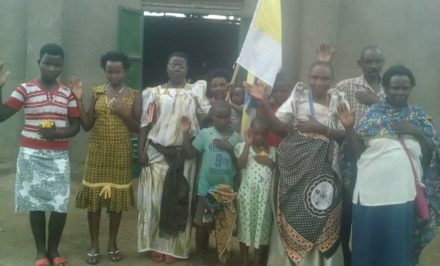 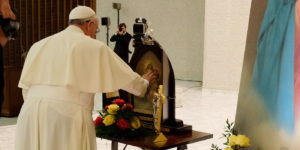 The Pilgrim Mothers are accompanied with preparation, materials for the missionaries, and those who will receive the Pilgrim Mother and accompaniment. 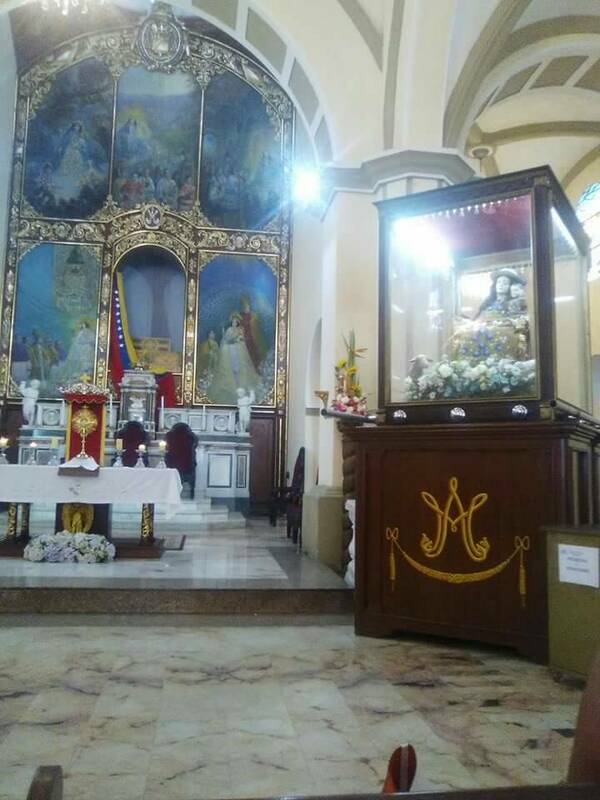 There are already Founding Pilgrim Mother in two other places in Venezuela, as well as in Cuba, Iraq, Lebanon, Syria, and Siberia in Russia. A few days after its arrival, the Pilgrim Mother was already conquering hearts… Daniel’s mother’s as well his younger brother who accompanied Daniel to introduce the Pilgrim Mother at the parish. 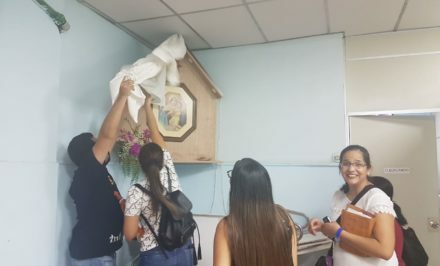 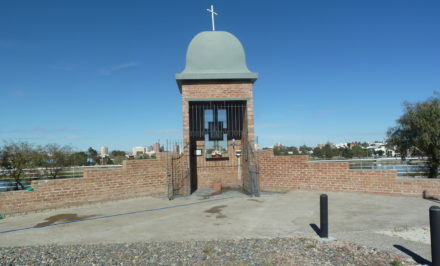 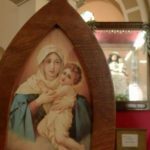 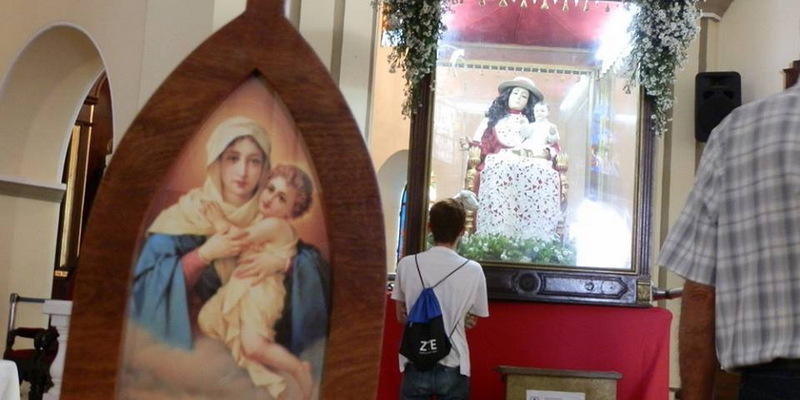 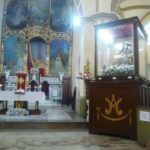 On October 28, the Schoenstatt members from Barquisimeto and the Pilgrim Mother visited the Santa Rosa Shrine in the state of Lara, which contains some of the city’s treasures, such as the Divina Pastora, a title that comes from Spain and which is very important in Venezuela. 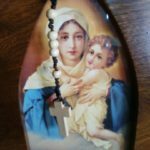 October 30 was the official commissioning of the Pilgrim Mother in the St. Peter Church of Barquismeto..
“She is already working miracles,” Daniel commented. 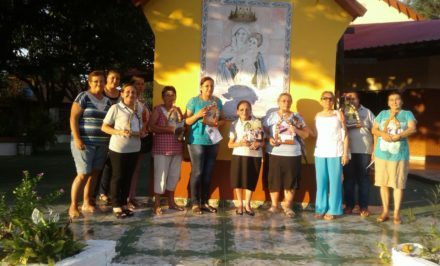 Mother Thrice Admirable of Schoenstatt, bless Venezuela.